Website Content makes it easy to work with Recommendations and Search results. 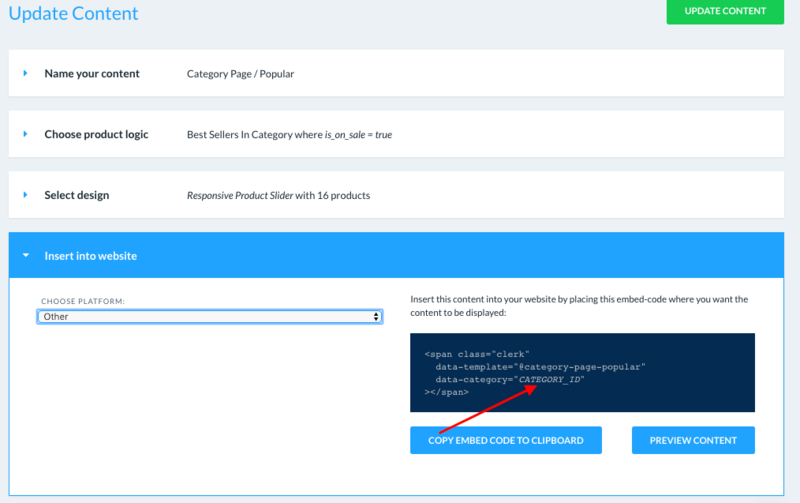 The Designs are stored at Clerk.io, and you only need to insert a small embed code into the page where you want products to show. Any number of Content blocks can be based on a single Design, or you can create separate Designs for each Content. Each unique Content block is controlled by its own settings. You can choose a unique name for all Content blocks, which will also function as its tracking label. Each Content block's Settings page is divided into four sections that you can access by clicking Edit Content. Controls the Name and tracking Labels for the Content block. 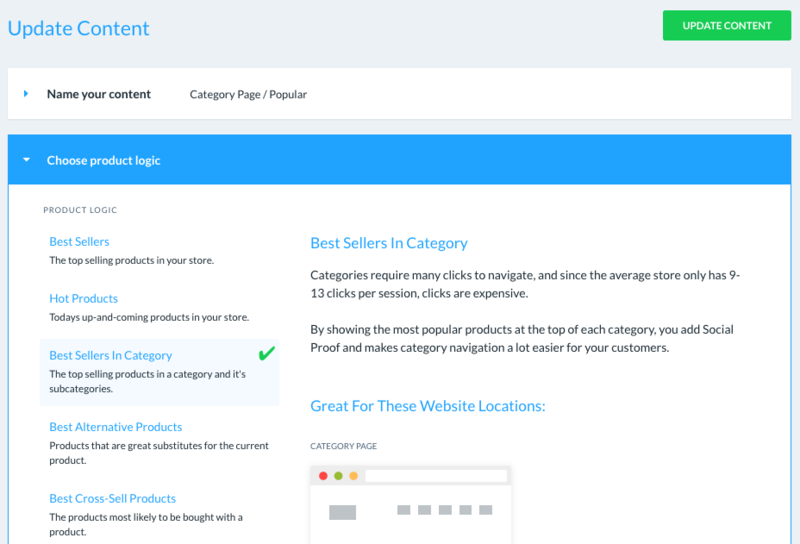 Defines which type of products should be displayed in the Content. 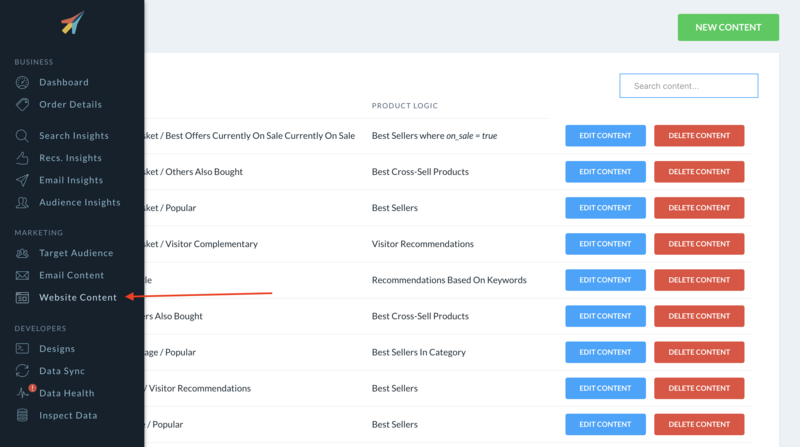 You can also control whether any Filters should be applied, if, for example you only want to show products above or below or certain price, or from a specific brand. 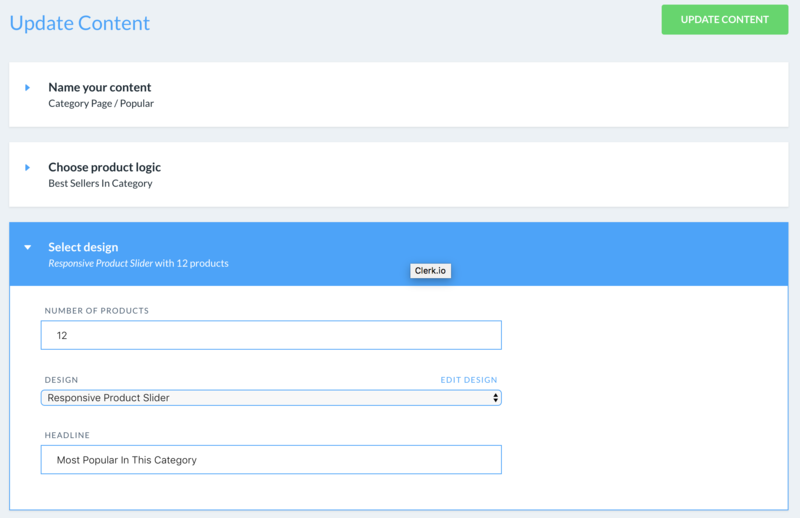 This lets you choose how many products to show, and which Design to base the Content on. If you have a title/headline variable in your design, you can add the titles to be shown for the Content here as well. Content blocks are attached to an embedcode which enables them to be rendered on all pages where you have inserted Clerk.js. Simply insert the embedcode where you want this Content to be shown.